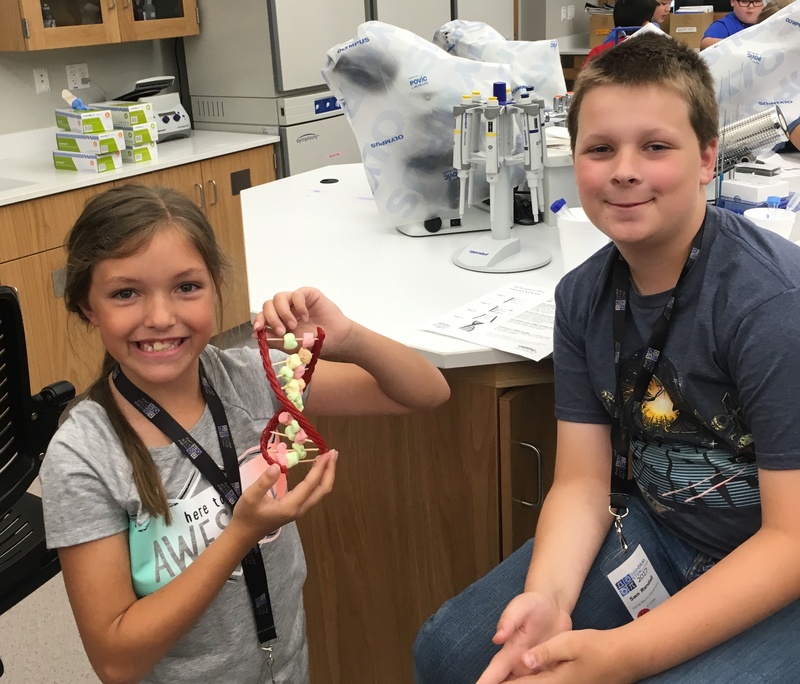 Fruit flies, bacteria, and DNA modeling! 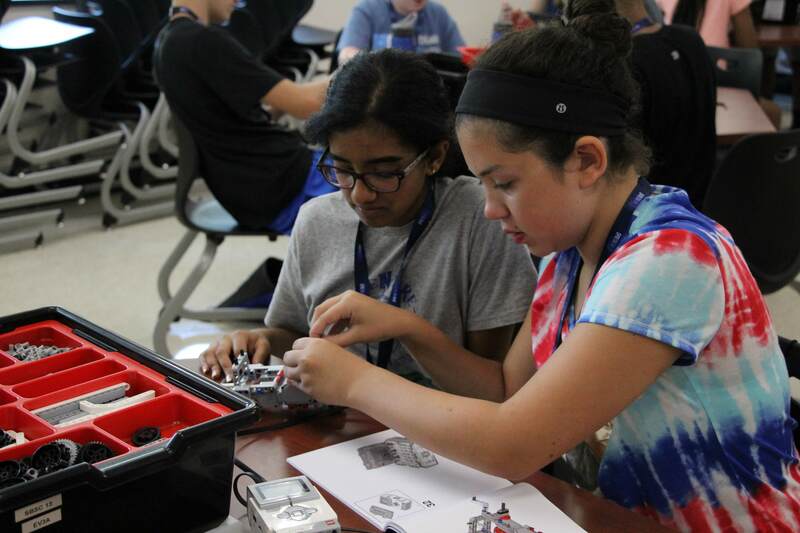 Another beautiful day in the Bluegrass as students explored more STEM topics with our awesome professors and graduate students! 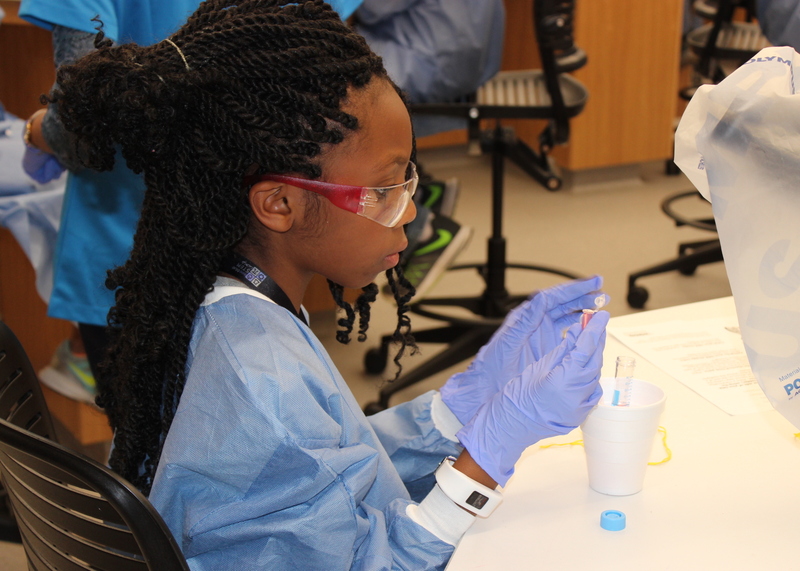 Today the students were in a biology lab in our beautiful new Don and Cathy Jacobs Science Building with Brittany Rice, a graduate student in the Biomedical Sciences doctorate program in the College of Medicine. They were able to use state of the art lab equipment, wear lab coats, goggles, gloves, etc. as a real laboratory scientist would (this included some lab safety lessons as well 🙂 ). They made models of DNA and then did a simple DNA extraction themselves to look at their own DNA. They were very fascinated! Then they learned about bacteria and germs and how they grow and where they’re located. They did a bacteria activity with their hands and then did some sampling to see what bacteria would grow (if any). They’ll get to view their results on Friday. 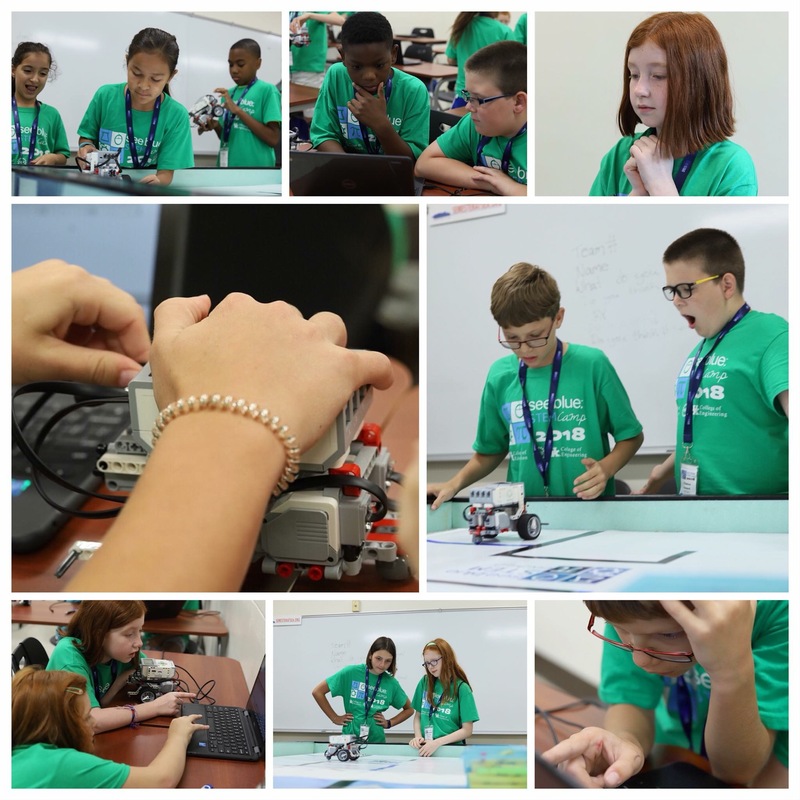 In robotics, the students started on the green city challenge. 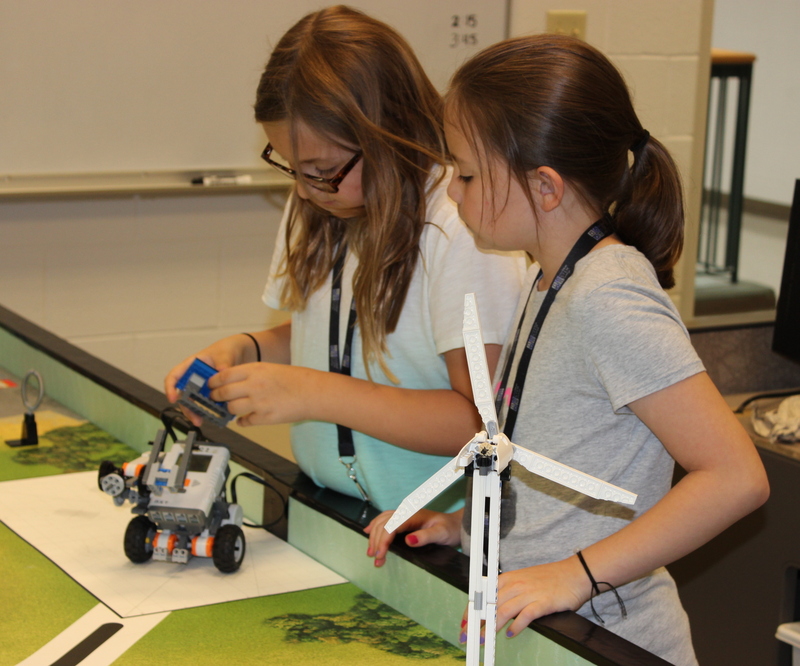 The green city challenge requires them to put multiple steps together and complete different tasks such as moving the dam or turning the wind turbine. Dr. Robin Cooper is a Biology professor at UK and has been a long time supporter at STEM Camp. 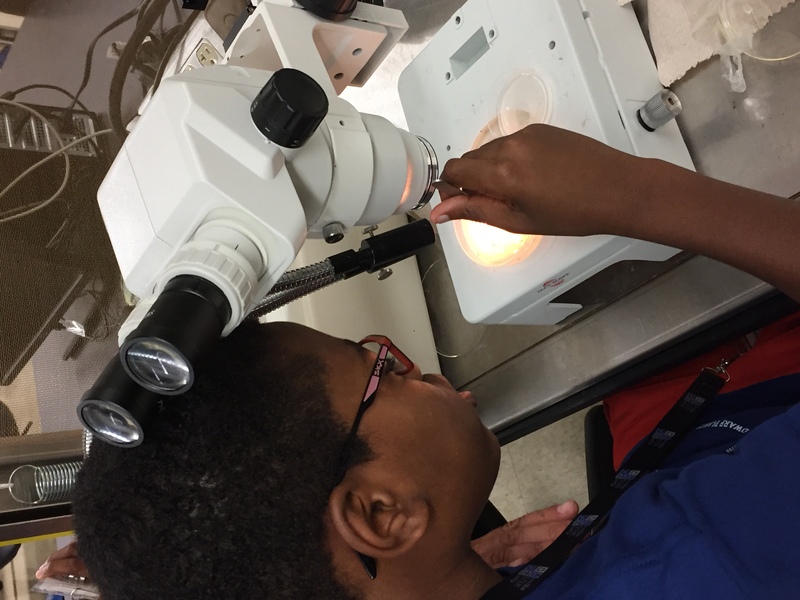 The student always have so much fun in his lab as they experiment with drosophila (aka, fruit flies)! Today they did some sorting of the fruit flies under the microscopes in the lab. They had fruit fly “races” as well. 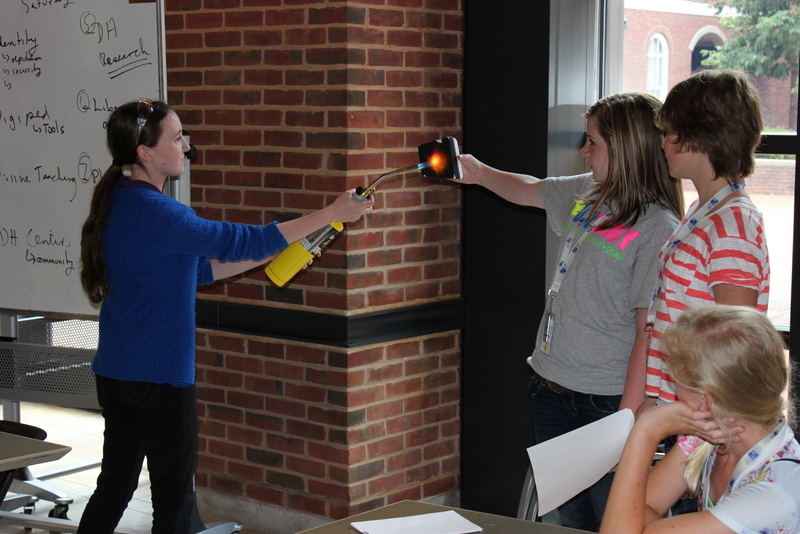 They also did some physiological investigations on how the body reacts to certain flavors and spices. 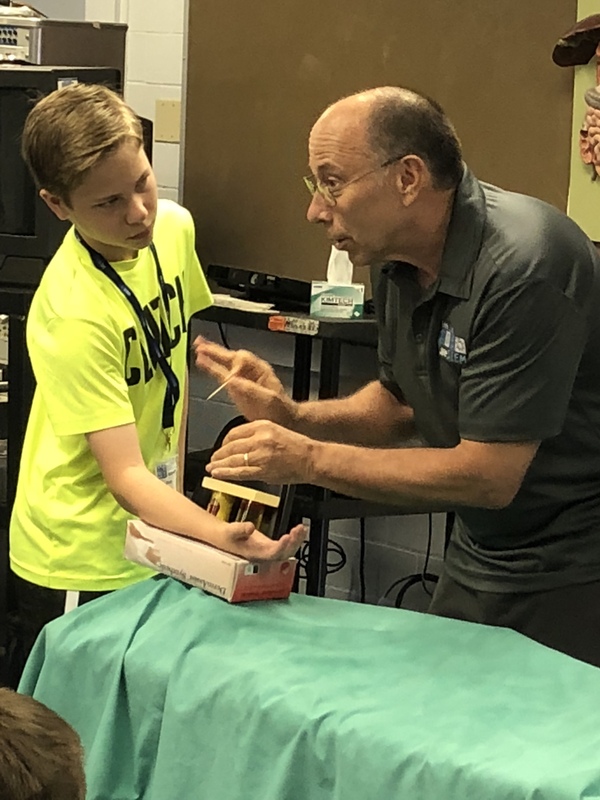 The students also got to spend time in the medical outreach facility where they get to look at and hold real organs, talk about their purpose and function, and look at EKG’s of themselves and their friends. 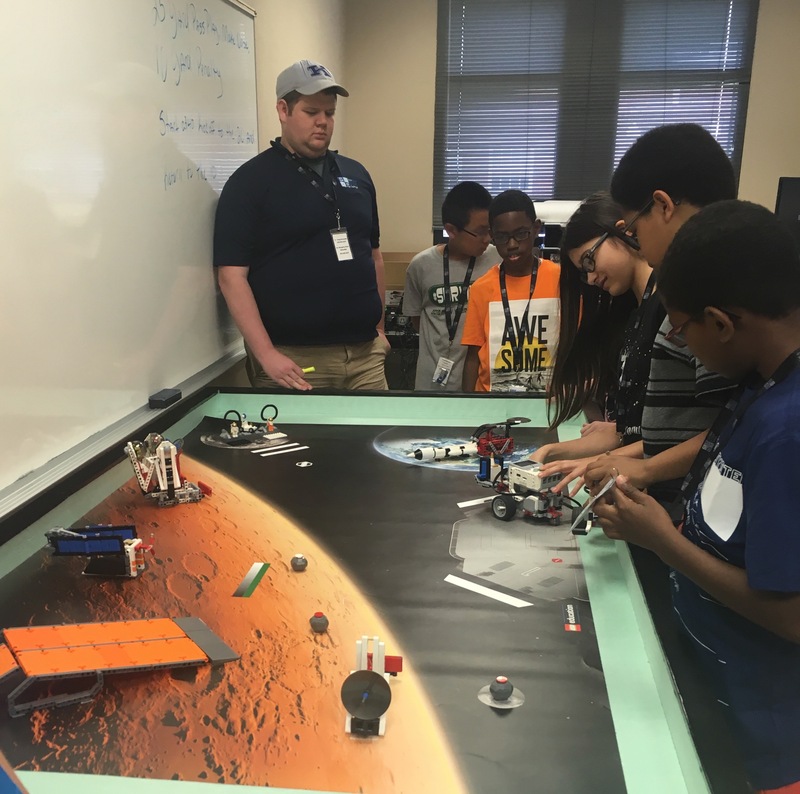 In robotics, the students started on the space challenge. 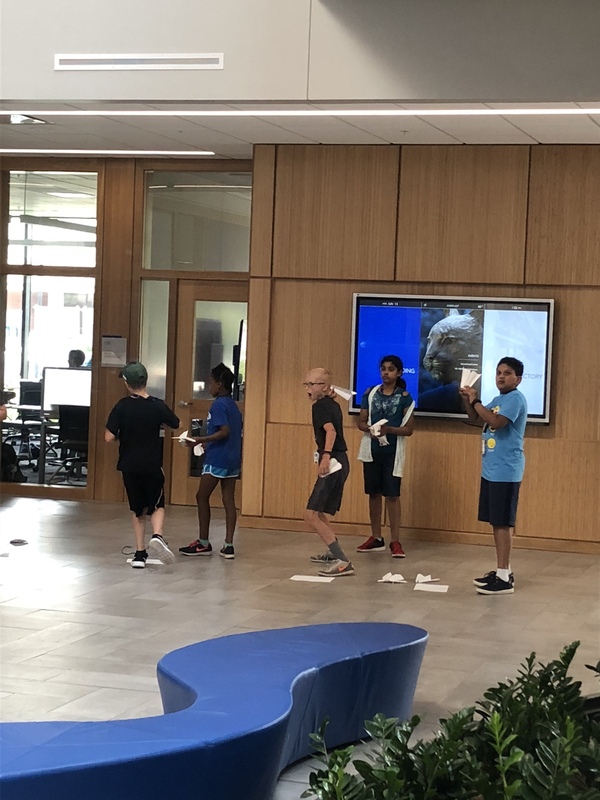 The space challenge requires them to put multiple steps together and complete different tasks such as moving the moon rocks or opening the satellite. I loved learning about Dna & I love doing expirements. I learned lots about DNA. I learned that you can extract DNA with gatorade. Would you like to learn more about this topic? – Yes I would so I could help the earth. I learned about how the DNA of a fruit fly is very similar to that of a human and a bunch more about the human body and how it reacts (book). I am fascinated with genes and biology. Larva fruit flies roll away as a defense tactic. How did you extract your own DNA today? What did you observe about your DNA? What did you learn from the handwashing activity? What did you swab for bacteria today? What do you think you will see on Friday when you look at it again? What challenge did you start with today for the Green City Challenge? What was your favorite part about programming today? Why did you study about fruit flies today? What was your favorite part of working with the fruit flies? What organ was the most interesting to look at and hold today? Was there an organ that surprised you in what it looked like? What challenge did you start with today for the Space Challenge? What was your favorite part about programming today?